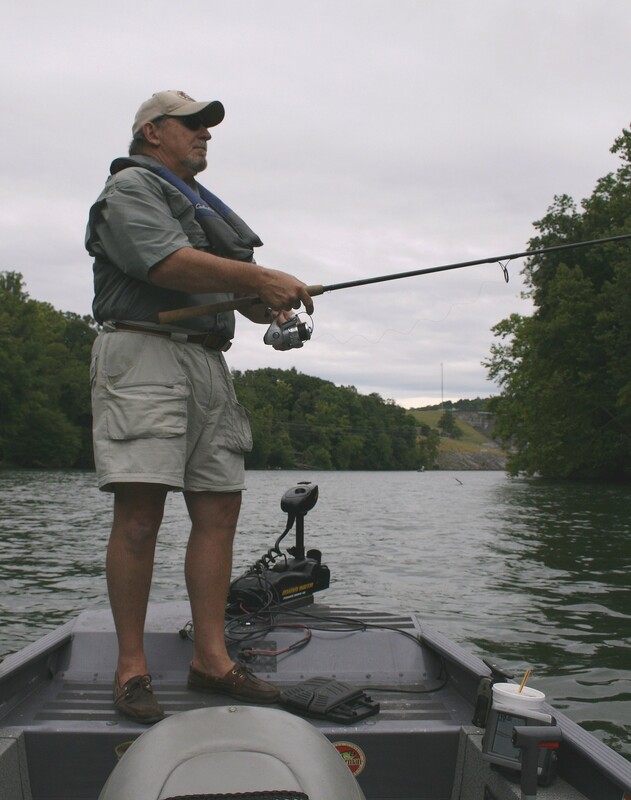 Always think safety first when fishing tail-waters. Know the generation schedule, wear a life jacket, and exercise caution in the swift cold water. 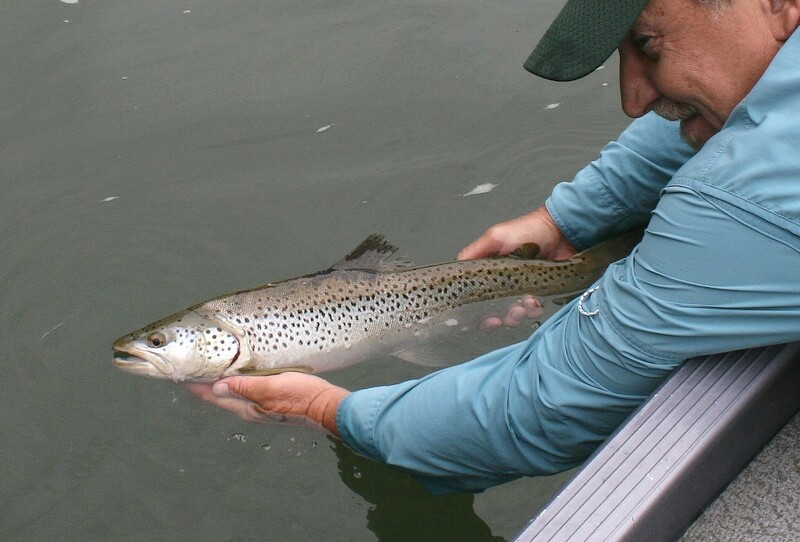 Brown trout are voracious predators and most active at night. 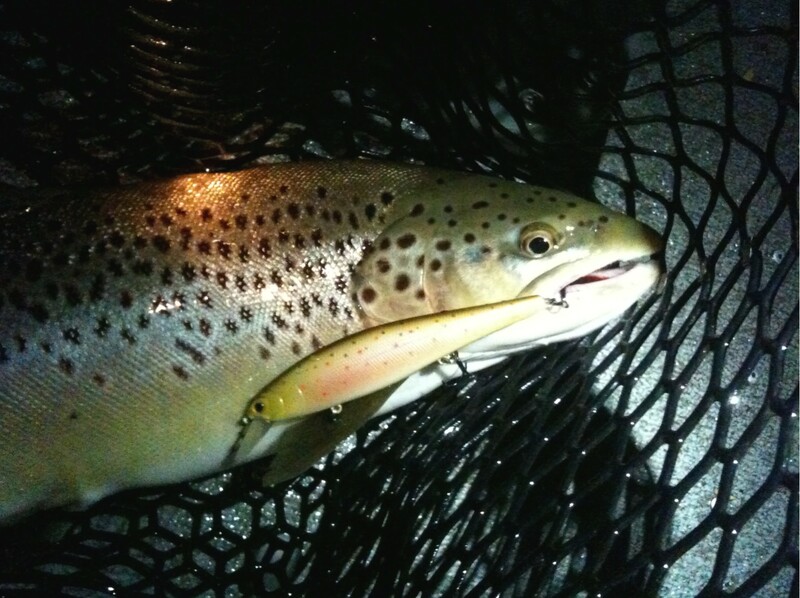 This ten-pound class brown smashed a Super Spook worked slowly across a shallow flat on a dark, misty night. 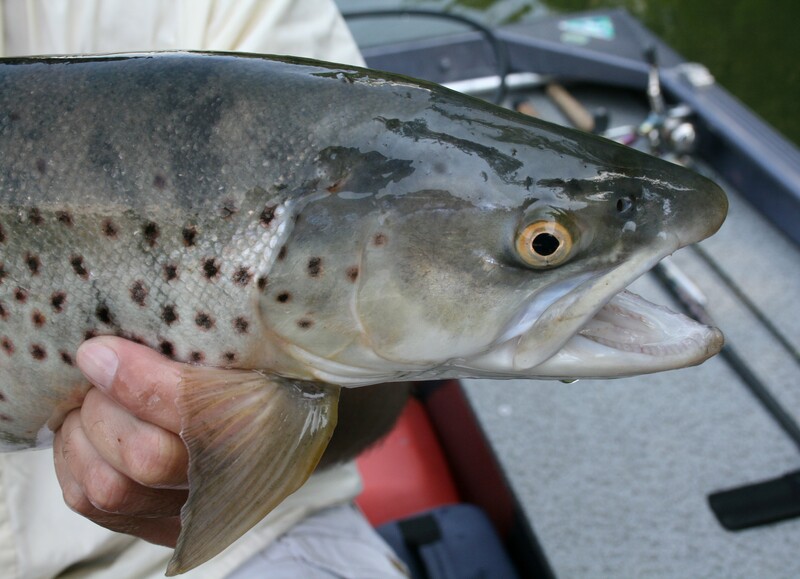 Try topwaters for brown trout at night when generators are off and water flow is low. 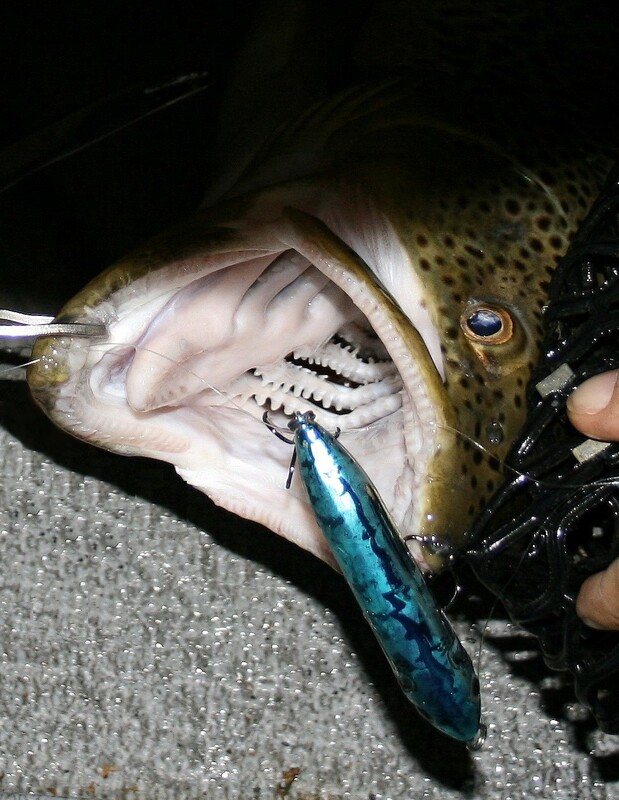 And remember, stealth is key to catching big browns at night. 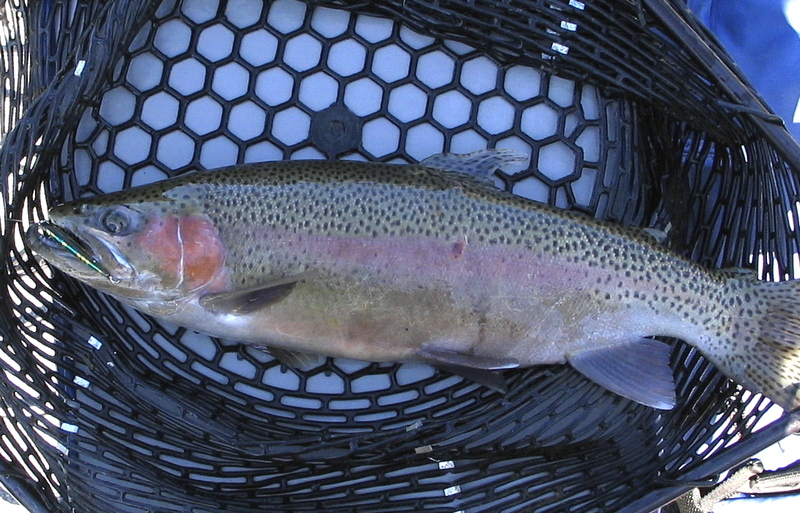 This big male rainbow hit a 2-3/4″ Yo-Zuri Pins Minnow in the Perch color. From my tackle box, a few good minnow lures for rainbow trout include, from the top/clockwise: Lucky Craft Pointer 65SP, Rapala Original Floater F09, Yo-Zuri Pins Minnow Magnet Floating – 3 1/2″, Rapala Husky Jerk HJ10, Diawa TDMinnow SP, Lucky Craft Pointer 78SP. 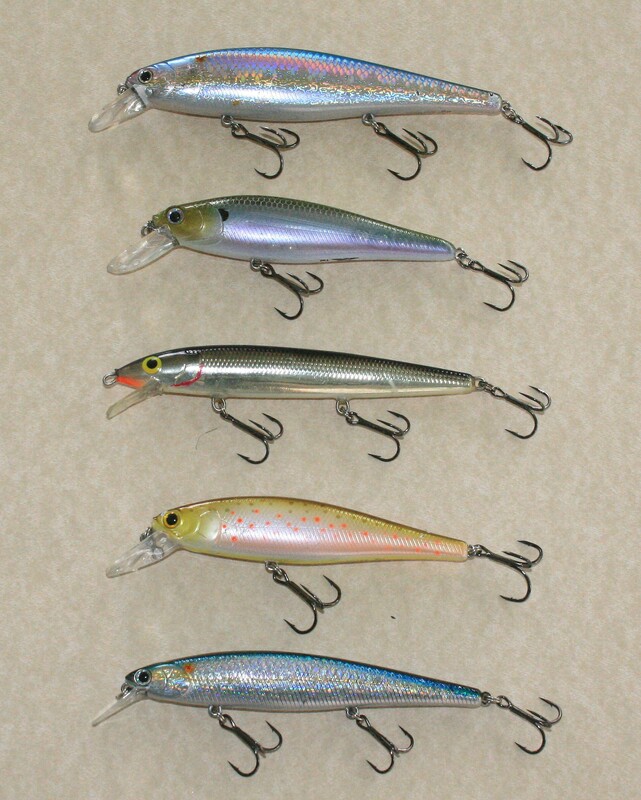 These and similar minnow lures in shad, rainbow and brown trout colors work well. Add a few more bright flash and painted colors and you’ll be equipped for big tail-water rainbows. 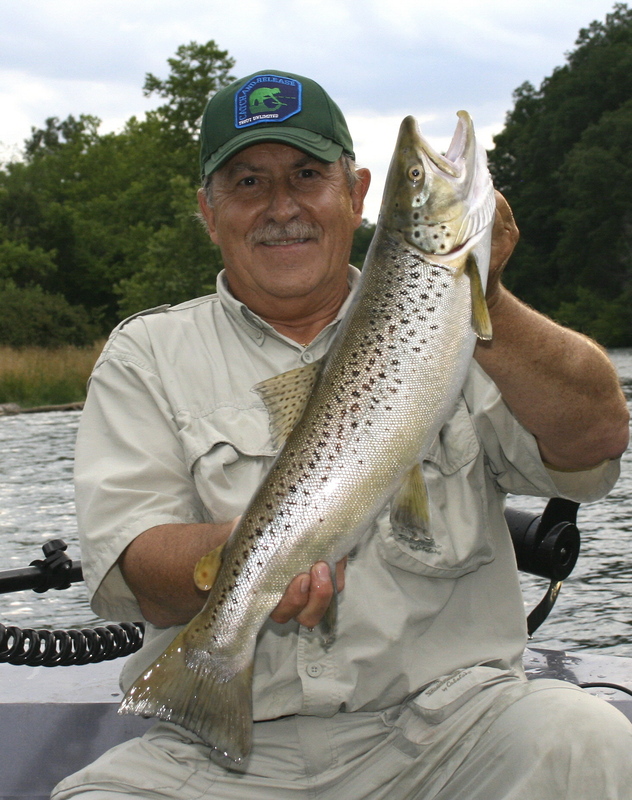 Large brown trout eat large prey. I caught this five-plus pound beauty on a five-inch Pointer 128SP in the Brown Trout color on a pitch-black night. 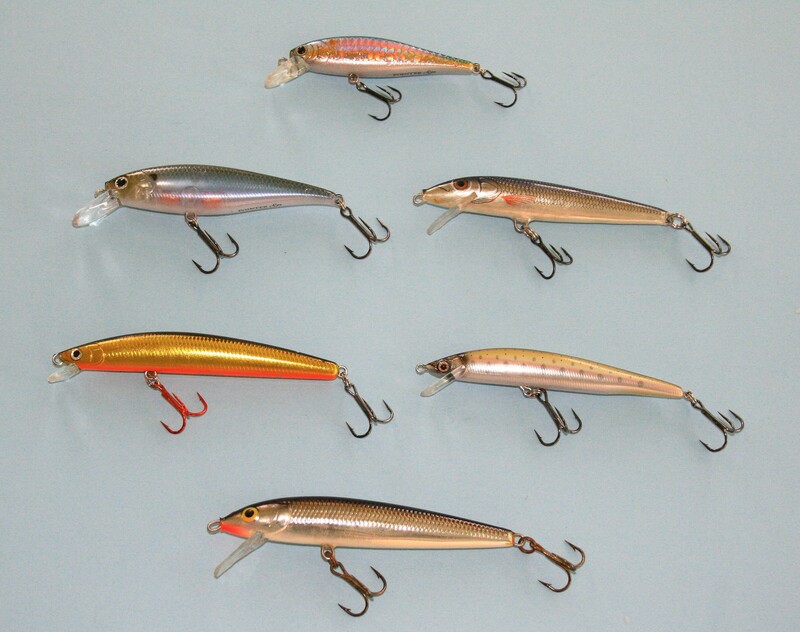 A few of my most reliable minnow lures for brown trout include, from the top: The Lucky Craft Pointer 128SP, Academy H2O Xpress Floating JS-4, Rapala Husky Jerk HJ12, Lucky Craft Pointer 100SP, and Lucky Craft Slender Pointer 112MR. 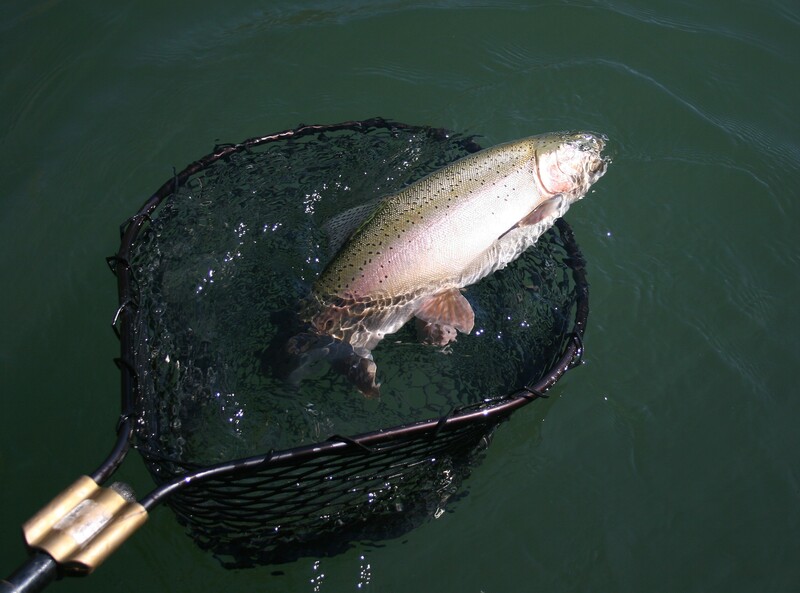 Release these beautiful fish in good condition so they continue to grow and provide incredible trophy fishing!